The pursuit of speed has no limit! 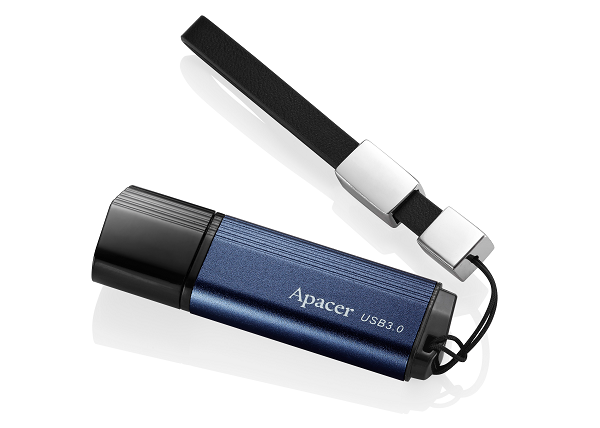 Apacer once again displayed its strength and released a new flagship USB 3.0 flash drive, AH553. 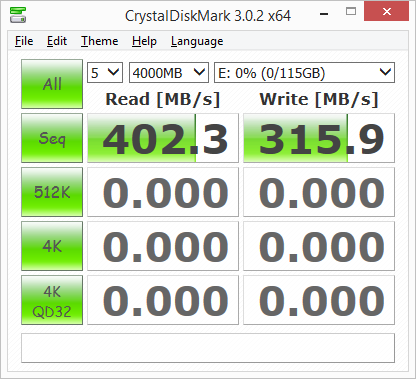 Actual testing showed that it has an ultra-fast top speed of 400MB/s read and 300MB/s write speed, aggressively re-writing the record for flash drive read/write speeds! As a flagship product, it is equipped with robust aluminum casing, stable and has excellent texture; it also has a ultra high capacity of 256GB. It is a masterpiece gadget leading all other competitors! 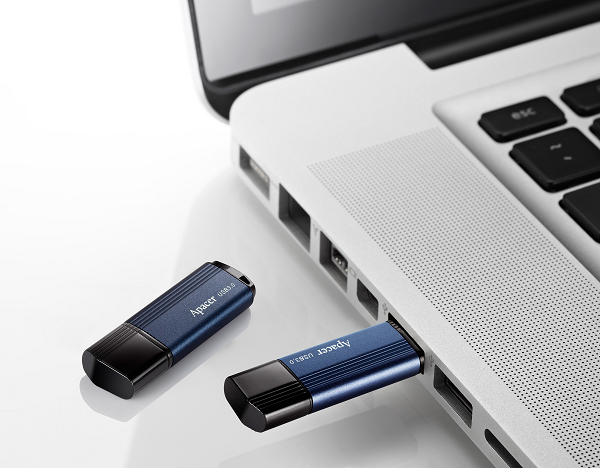 Since the arrival of USB 3.0, consumers always wanted a high-speed portable storage product that can truly plug & play. Apacer used its years of experience and MLC flash to enhance the ultra-fast read/write speeds achieving stable storage performance, breaking the speed limit of USB 3.0 flash drives with whopping read/write speeds of 400/300MB respectively and became one of the industry’s fastest commercial products. The astonishing speed of AH553 is close to that of a solid-state drive (SSD), allowing it to significantly reducing file transfer or data backup time. Taking a 40GB high-definition video for example, it only took AH553 104 seconds to transfer, easily allowing users to enjoy ultra-fast USB3.0 speeds and actually seeing the results of the increased speed! The high speed and large capacity advantages of AH553 allows it to have wider application ranges. The built-in SSD of many ultra-thin notebooks have smaller capacities that can easily fill up. The 10-gram lightweight of AH553 makes it the best choice for second storage space, replacing external hard drives. In addition, professionals such as photographers, multimedia workers or designers require large amounts of data transfer in their daily jobs; even if high-speed external hard drives are used, the access speed is still only about 100MB/s. If AH553 is used instead, the read and write speeds can be increased immediately by 4 times and 3 times respectively than external hard drives, achieving more with less effort. As a flagship model of Apacer USB 3.0 flash drive, AH553 not only has powerful performances, it also has a cold and rigid metal casing made with high strength aluminum, using deep blue to display leadership accommodating and generous styles. It has many user-friendly designs such as bodylines that are convenient to hold, cap-less design, asymmetric stylish strap holes and more, all showing the thoughtfulness that AH553 has for users! Apacer AH553 USB 3.0 flash drive comes in four capacity selections: 32GB, 64GB, 128GB and 256GB, providing diverse options. AH553 supports the newest Windows 8.1 and is downwards compatible to Windows XP, Mac OS 10.4.x and above and Linux 2.6.x and above. The high compatibility allows users to use them without worries. AH553 also complies with RoHS international standard, ensuring that the product do not include harmful chemicals, displaying the determination for environmental protection!